HMH Books for Young Readers, 9780618152384, 32pp. What do you do when you lose a tooth? Do you put it under your pillow and wait for the tooth fairy? Not if you live in Botswana! In Botswana, children throw their teeth onto the roof. In Afghanistan they drop their teeth down mouse holes, and in Egypt they fling their teeth at the sun! 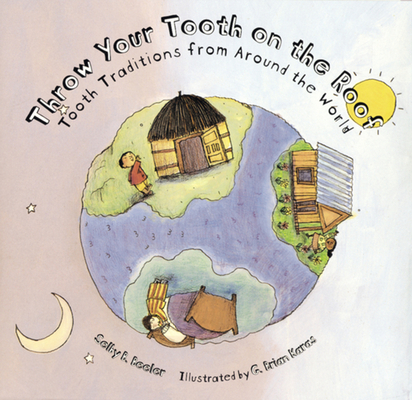 Travel around the world and discover the surprising things children do when they lose a tooth. Selby B. Beeler spent years collecting traditions from every corner of the globe for this whimsical book, and illustrator G. Brian Karas adds to the fun, filling every page with humorous detail. He perfectly captures the excitement and pride that children experience when a tooth falls out. Selby B. Beeler first became interested in lost-tooth traditions in other countries when a friend from Brazil asked, "What's a Tooth Fairy?" Curious, Selby has been canvassing strangers ever since. This is her first book. G. Brian Karas has illustrated more than thirty books for children, including Truman's Aunt Farm, by Jama Kim Rattigan, and Mr. Carey's Garden, by Jane Cutler.